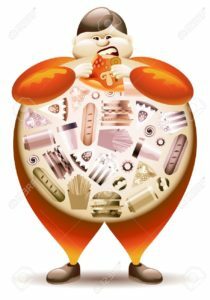 Obesity is very different form being overweight.. Obesity is accumulation of excessive body fat which is extremely abnormal. Overweight literally means weighing more. Obesity is not a day’s or a month’s process. It happens due to eating excess calories over a long run. When there is huge difference of Calories going in and coming out that is through exercise or any physical activity. Obesity is an issue which is increasing over the nation and globe. Obesity is spreading like an epidemic which is affecting great number of individual in recent times. 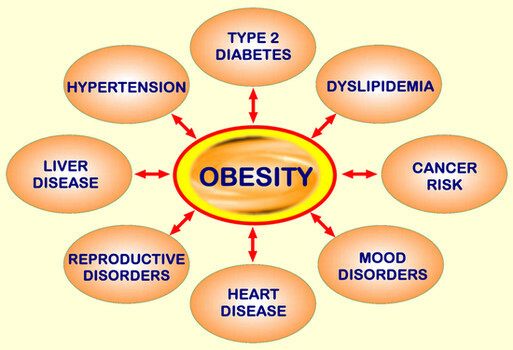 Obesity is now seen as insidious killer which majorly contribute to the preventable diseases of heart and diabetes. Obesity numbers are increasing because of the drastic change in our lifestyle. In spite of eating same food which we use to eat in last decade when we eat today it gives some other result to our body. But except for food have we ever realized whether the activity level has also remained same. Are we still burning off those extra calories through workout, walking or by any other means. There are many myths which run around the society and our grand generation. We always get to hear that we use to eat lots of oil and ghee and sugar in our diet and yet we were very fit. But few days back people use to walk long distance for daily job. Most of them were not privileged to have their own vehicle. So walking was there in everyone’s schedule on daily basis. Now we walk may be once a week or once in 15 days. We hardly realize that we haven’t walk since so many days. Earlier eating out was only when there is a very big occasion or grand festival. Now teenagers and adults eat almost once a day outside food. We cannot rely on the quality of food which is available outside. I would say you cannot believe the food unless you have seen it with your own eyes. People come to my clinic and tell me that they eat wheat breads everyday because wheat is healthy. I advice everyone kindly do not rely on food which you have not cooked, you cannot be sure of food which you haven’t made. So trust food which is made in front of you. Home cooked food is the best food on globe. Still in that also you have to limit your oil and ghee consumption to be healthy. Reason for eating more of processed food and packaged foods is because of working couples. Both of them are stressed out with work and hence comfort foods become the choice. And comfort foods are always loaded with too many calories as compared to fresh home cooked foods. As we go around we notice that 40-50% of population is obese. And the number is not constant, it is increasing very rapidly. Health professionals are trying their best from all medium of communication to educate and spread knowledge of being healthy and fit over being obese. Being obese increases your risk of diabetes, heart disease, stroke, arthritis, and some cancers. Sometime I really wonder that how a person could not realize that he is obese. And trust me obese people have many ongoing health issues like knee pain, lethargy, tiredness. Which further leads to diabetes, blood pressure, cholesterol etc. Moreover if you have family history of obesity please really be careful of your weight. And also for people who do not have any family history; it is very important make it a point that you keep a regular check on your weight and the body fat %age in order to live a healthy life. The best indicator of the degree of obesity is the BMI Calculator. BMI: weight in kgs/ Height in meter square (kg/m2). Do not wait for your body to tell you that it is obese by signalling with some non communicable disease but instead help you body to shed those extra kilos of fat and feel energetic and lighter. Childhood is period of growth? Agreed!! So they need additional nutrition for their growth. But do you think those extra requirements are being met by giving them any food which they ask for or over feeding them or food which is high in fat and ghee and sugar. All these food is equally harmful to your child. 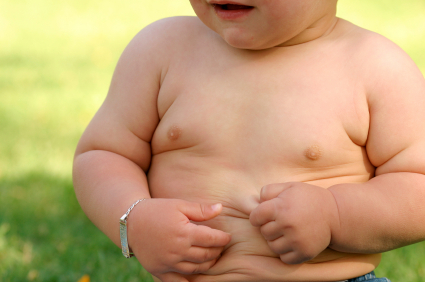 Why is it that all parents want their child to look chubby and fatty to look healthy. Why a think but active child does is not termed as healthy in the society. The moment a child is thin people will start commenting to the mother how to increase his weight. Is the weight is the last thing? NO!! If your child is active in playing, has good concentration in school and eats reasonably good then please do not look out for transforming your child to be overweight or obese to look healthy. Weight your child once in 2 months at least or whenever you go for regular check up. Keep record of his weight. And if your child is already obese, push him to play out-door games, sports. Enrol him for some activity classes him dance, karate, aerobics etc. So that will increase his activity levels and also help him to lose some weight and child will eventually start feeling energetic over a period of time. So as responsible parents it is essential to keep a check on your children.Today’s children are tomorrow’s future so it is very essential to help them to grow healthy rather than just grow. A child needs their parent’s help to grow healthy. Help your children so that they can help you in future. You actually make it seem so easy along with your presentation however I in finding this matter to be actually something that I believe I might never understand. It sort of feels too complicated and extremely wide for me. I’m taking a look forward on your next put up, I will attempt to get the dangle of it!